e would like to know, can you make men’s suits, trousers, jackets under our privat label on the basis of our patterns? Erkek takım elbiseleri, pantolonları ve ceketleri fason ürettirmek isteyen bir Rus firması bu konuda çalışabileceği tedarikçiler aramaktadır. It is Russian textile company. 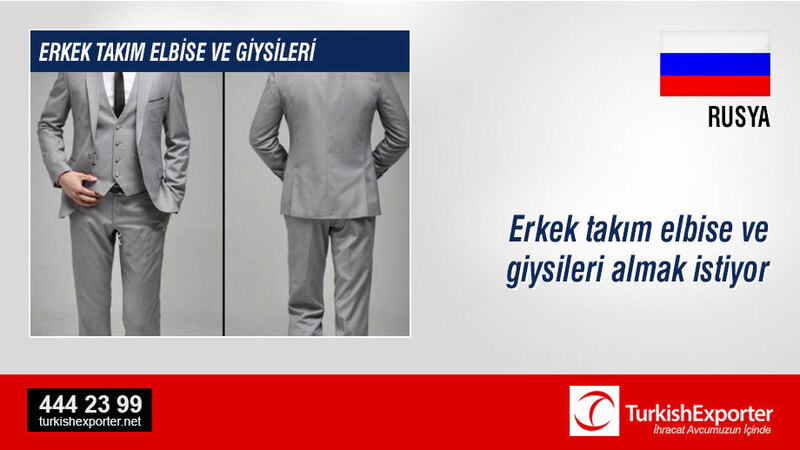 We would like to know, can you make men’s suits, trousers, jackets under our privat label on the basis of our patterns? What the minimum for produce for one article?